I've got 4,851 photos in my Flickr account, and the vast majority were taken with my trusty ol' Olympus Stylus 410. I got this 4mp Olympus camera for my birthday in June 2004 and four years later I still love this camera. A couple of years ago, my wife wanted a camera, so we went out and bought her the newer version of the same model, except 6 megapixels instead of 4. You'd think a more recent version of the same camera with more megapixels would be a better camera, but it's not. I'm never happy with the pictures from that camera and if both are within arms reach, I always grab mine. Four years is pretty old for a digital camera, and I have no interest in an upgrade, but recently about 5-10% of shots taken won't render. It's as if they're only partially complete and I'm forced to delete them. Whether I like it or not, I might be getting a new camera this birthday, but I won't be buying into the Myth of Megapixels. 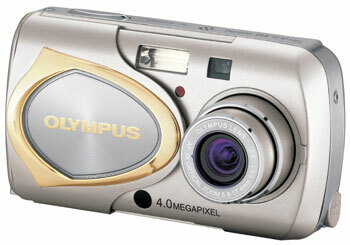 What's a good point and shoot digicam in the $300 to $500 range to replace my beloved Olympus Stylus 410? Canon SD810. It replaced my stolen Canon G2 and I LOVE it. 7.1 Megapixels and gives me a perfect shot - everytime! Any Panasonic TZ series would be an ideal replacement! I got my sister a Canon SD750 for her birthday - she loves it and has taken great photos with it. It is 7.1 megapixels with a 3x optical zoom. If you want a camera with a higher zoom (12x optical) the Canon S5 IS is a good choice. I picked this one up recently for a trip over seas since I did not want to carry around my SLR. I love my Canon and if you remember something odd happened to it which I have yet to investigate. When and if I have to replace it I won't even blink, I'll choose another Canon. Anyone know the cost of repairing a camera VS replacing it? I can only guess that the answer is 'buying a new one would be cheaper'. I base this on our consumerist, Wal-Mart loving society who sets the bar so high when it comes to standards of quality and ethics. Jason, buying a new one would be cheaper.